In Expect More: Demanding Better Libraries For Today’s Complex World, David Lankes, winner of the 2012 ABC-CLIO/Greenwood Award for the Best Book in Library Literature, walks you through what to expect out of your library. Lankes argues that, to thrive, communities need libraries that go beyond bricks and mortar, and beyond books and literature. We need to expect more out of our libraries. They should be places of learning and advocates for our communities in terms of privacy, intellectual property, and economic development. Expect More is a rallying call to communities to raise the bar, and their expectations, for great libraries. RAILS (Reaching Across Illinois Library System), New York State Library, ILEAD USA, Maine State Library, Topeka Public Library (Kansas), Chattanooga Public Library (Tennessee), Fairfield Public Library (Connecticut), Enoch Pratt Free Library (Maryland), F. Franklin Moon Memorial Library, SUNY College of Environmental Science and Forestry, The Califa Library Group, Fayetteville Free Library (New York), Toronto Public Library, California Library Association, Tech Logic, Syracuse University iSchool, Dominican University’s School of Information Studies, University of South Carolina’s School of Library and Information Science. The Second Edition of Expect More: Demanding Better Libraries For Today’s Complex World is now available for free download and purchase. 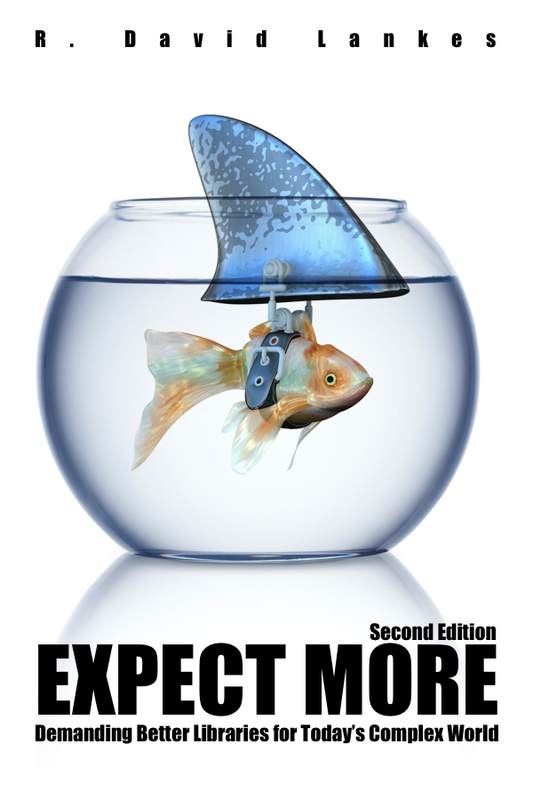 Free, downloadable English version of the second edition of Expect More. Note, these files have no DRM. The following videos deconstruct the Expect More text and talk about using the text within a larger conversation about libraries and library service.